Our ethos is that all arts practice is a conversation: a conversation between the creator of the work and the consumers; between the themes of the work; between the mediums used to express the artistic vision; between the practitioners delivering the vision; and between the multiple layers of relationships, emotions, ideologies and principles with which the vision is perceived and experienced. Art asks questions at every step of the process, engaging all participants in a continuous dialogue with those questions both as practitioners and consumers. 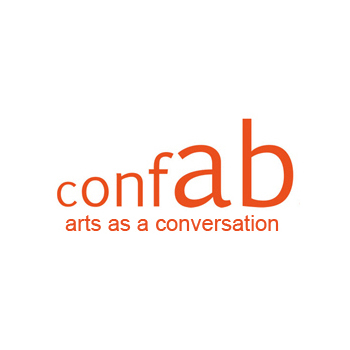 As with a conversation, so conFAB's work is a fluid, shifting, proactive, responsive, eclectic and open ended dialogue. Central to the organisation is a very real and deep rooted commitment to community and education-based work which strives for artistic excellence as well as respecting the crucial development process. As a cross-artform company we seek to not only question the boundaries between art forms but also to challenge and question demarcations between professional and community/education practice. We create artistically bold community productions where professional practitioners and community actors/ performers work alongside each other.